A warm greetings from DARP! 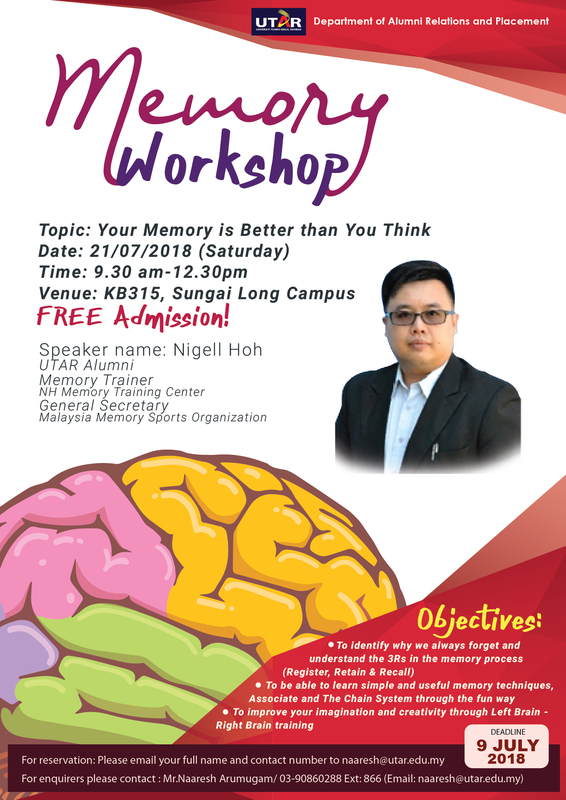 Please be informed that, DARP organizing an interesting Memory Workshop to all UTAR Alumni. 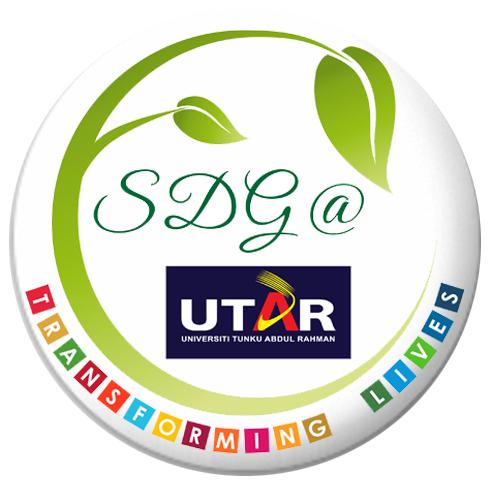 This workshop aims to discover the memory potential among working adults and improve their working memory significantly. Everything we do involves our memories. We cannot think without accessing our memory and all the unconscious things that we do, like walking or holding a cup, rely on the memory of how we did it last time. And yet many people believe they have a poor memory. For example, a doctor might blame himself for leaving his wallet and keys at home, or an accountant who forgot to pick up her kid from school and etcetera.